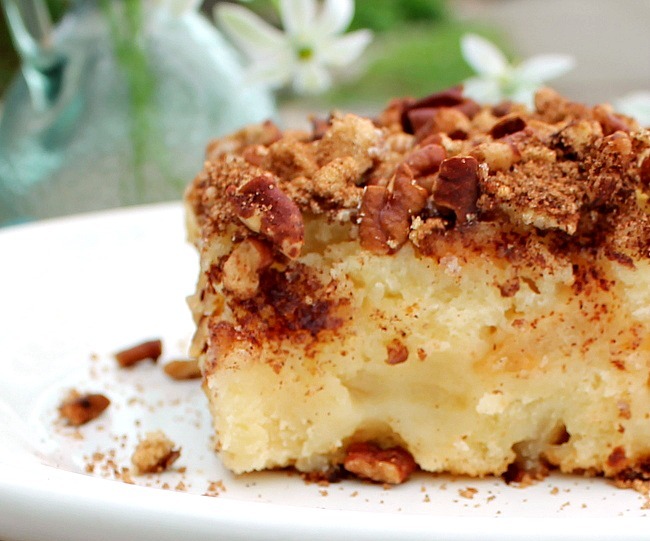 The cake is brimming with chopped apples that sit in a cake batter made with butter and cream cheese. The cake is very tender, moist and delicious! I used 3 large Cameo Apples which are crisp and firm. It may seem like 3 large apples is to many but please use all of them! You’ll love it! 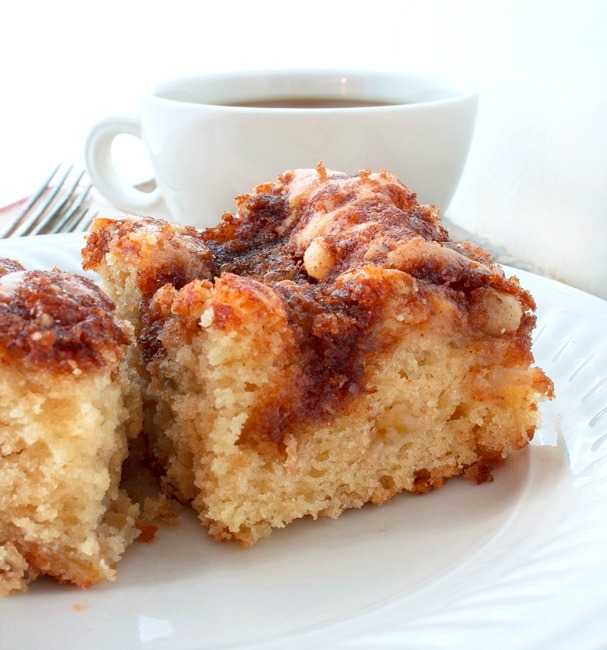 The cinnamon, brown sugar and pecan topping is perfect for the cake! 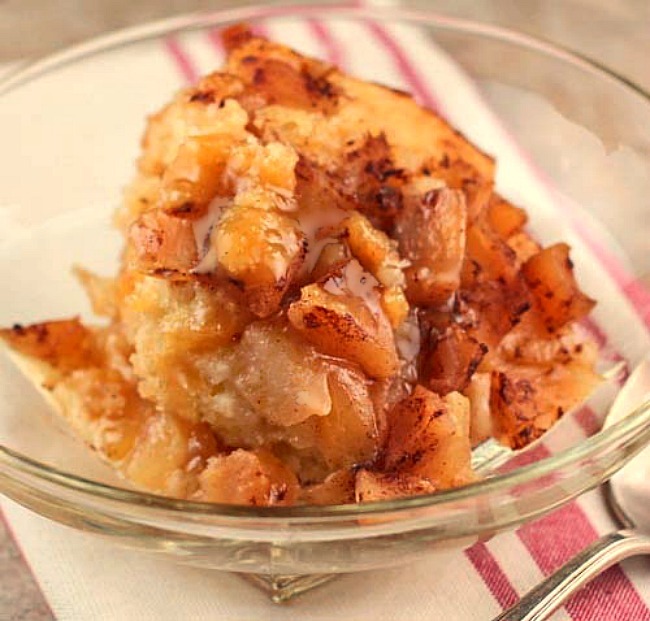 It adds sweetness and crunch ,it compliments the apples beautifully. I tossed the apples in lemon juice after I chopped them for two reasons. First it keeps the apples from turning brown while you make the batter and two…lemon adds a wonderful flavor to apples just like it does to blueberries and other fruit. This is an outstanding cake that you can enjoy all year round, I hope you love it as much as we did! Enjoy! 1. Peel, core and chop 3 large firm crisp apples. Toss them in 1 tablespoon of lemon juice, set aside. 2. In a large bowl, using an electric mixer, beat the 1 3/4 cup of white sugar, butter, the cream cheese and vanilla until smooth. Add the eggs and beat until well combined and creamy. 3. Combine the flour,salt and baking powder in a small bowl, stir to combine. Add the flour mixture to the creamed mixture, beat with an electric mixer until just combined. Add the chopped apples and fold them into the batter. 4. Pour the apple batter into the prepared 13x9 inch baking pan. Leveling the batter out as needed. 5. In a small bowl combine the light brown sugar, cinnamon and chopped pecans. Sprinkle over the apple batter in pan. 6. Bake at 350 degrees for 50 -60 minutes or until the cake tests done with a toothpick. Do you cream the butter with the cream cheese? YES Anonymous you cream the butter with the cream cheese. I fixed the directions! Renee you’ll love it! Thanks for stopping by! Wow, this looks so good. I have saved it to make, hopefully next weekend. It certainly will not last long in my house that’s for sure. Any nut free variations for topping? Bayla try using oats instead of the pecans. Let me know if you make it that way. Theresa you can adjust that cinnamon to any amount that’s good for you and hubby. Won’t hurt a thing. I just checked the recipe, and it says baking powder in the directions and in the recipe ingredients. Thank you! It’s worth a try Eva! I’d make sure that whatever fruit you use be fresh fruit, if you use pineapple drain well. I hope you do try it, and if so let me know! Dianne, I think all nuts go well with apple,walnuts would be nice as well. Thanks for stopping by! 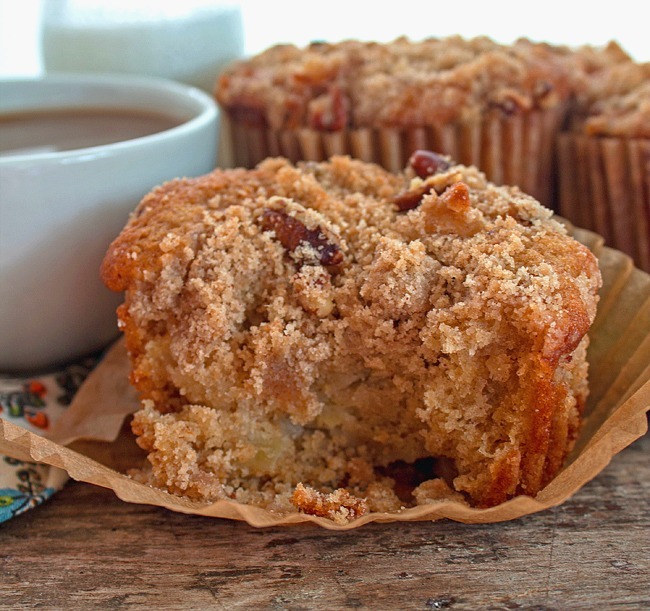 This recipe is perfect for fall! It looks so moist! Thank you Julie, its a keeper! Thank you Pure Grace Farms!! Thank you Jessica for the invitation!! Hi Jeannie, I fixed it thank you so much! I hope you get to make it! I am making this as soon as possible! It looks so good! Thank you! And when you make it please come back and tell me how it went for you! I have a party tomorrow and planning on baking your cake. Question, after cooling would you suggest to store it in the refrigerator till it is time to serve it ? Hi Erika, no need to put the cake in the refrigerator, it’l be fine covered and on the counter. Let me know what you think! Does this cake need refrigeration after the first day? Buster no it doesn’t need refrigerated at all. The cream cheese is baked into the cake. Hi Alada75, 8 ounce package of cream cheese. The store will sell packages of cream cheese in an 8 ounce block or you can buy it in a 4 ounce block. Don’t use the cream cheese thats in the tubs. Use the blocks. I m sorry for the late reply but here in Europe we dont use ounces, its in gramms. Sorry to keep bothering you with this, but if anyone can help I would appreciate it! Alada one of my wonderful commenters has posted a conversion chart here in the comments for you! THANK YOU Helen!! GREAT Mike!! Thanks for coming back to tell me, I love it!! If u follow this website u will get the info u require re converting oz. to grams & vice versa. It is really helpful. They state that 8 oz. is 225 grams. Happy baking! can this be made in a bunt pan. I’ve never made it in a bundt pan Sheila. I imagine it could be,if you decided to try it let me know! I’ve made this cake several times and it is by far one of the most requested by my family. It’s so ridiculously moist and filled with the PERFECT amount of apple. Yum! Thank you Lauren!! It’s definitely a keeper! Found this today and made it for my family. It was easy to prepare and delicious. Next time after putting lemon on the apples I will also put some sugar and cinnamon in the apples mixture. Also when it settled in the pan I swirled a knife through the mix to give it a marbled when cut to serve. And yes it is a wonderful anytime cake especially fall and winter with a cup of tea or coffee. It’s all that and a bag of chips Dan! Wow Mary this looks super fab! I love this recipe! I had to pin it I loved it so much! Hope mine turns out as well as yours did! Thank you Heidy,it’s much appreciated! This looks delicious snd super moist! I think I’ll make this for my co-workers and bring it to our net potluck! You’ll love the cake Sandra,thanks for stopping by!! Debbie no, it’s 1 cup plus 3/4 cup of sugar. I fixed it so it’s looks better and you can see that. Thank you! What is a Cameo apple? Is is tart like a Granny Smith? Can Splebda be substituted for the sugar? This is my key -to- the- heart cake recipe so far. My bf just loves it. Every time i come to visit, he begs me to bake him the cake. Thank you Mary Bunny ! Greetings from Germany! How wonderful Oxana! WEll they do say the way to a man’s heart is his stomach! LOL!! Looks like you’ve got it covered! Thanks for stopping by Oxana! Hi Jean, it’s baking powder, you’re good to go! My daughter and I just put it in the oven. Can’t wait to taste it. We used whole wheat flour and oats instead of nuts. It looks so delicious. Thank you Janine, please come back and tell me how it went! No, it is not fixed! Also cinnamon amount is way off 3 tsp, no way! Doubting using 3 apples as well. Wish I had read through the recipe before trying it, it will be a miracle if it comes out ok! Yes it is fixed now, sorry! Come back and tell me how the cake tasted Pam. When you print the recipe from “To Print The Recipe Click Here”, addition of the butter is left out of the directions in step #2. Vicki for as long as that recipe has been up you are the only one that noticed it, THANK YOU!!! I fixed it! Elms, I just don’t know how the apple filling would change the cake. Maybe if you drained the filling and just used the apples. But I really can’t say how that would turn out. 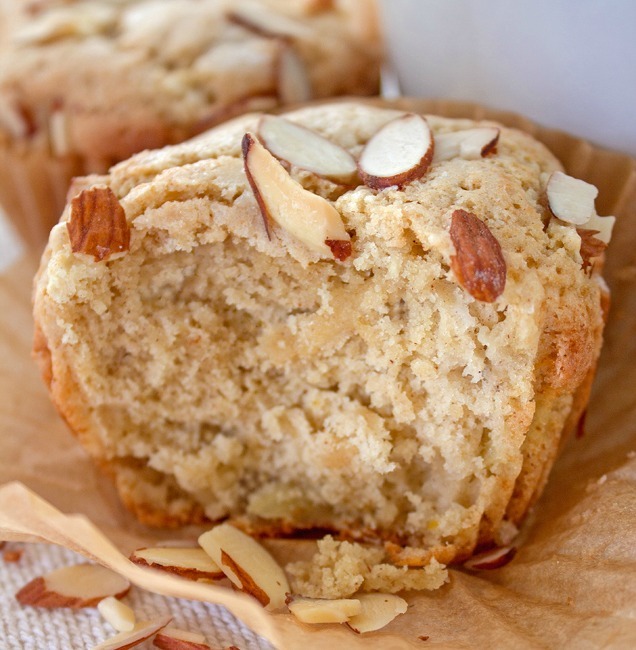 CAN A SUGAR SUBSTITUTE BE USED FOR THIS RECIPE? WHAT OTHER KIND OF APPLE CAN BE USED IN LIEU OF CAMEO? I’ve never used a sugar substitute. Use any baking apple, I like Gala apples for baking. They hold up well in a dessert. Would this recipe work in making mini loaves for gift giving? Eileen I’ve never tried it that way, just reduce your baking time and let me know how it goes. Any possibility I could bake this in a spring form pan? I’ve never made it in a spring form pan Deborah, but i imagine it would be just fine, just check it close to the end of the baking time. Love your recipes. The cream cheese recipes sound wonderful. Approximately how many oz. or cups of apples is your “3 large apples”? New to your site and this looks great. Currently have about 8# of some very delish apples that are med.- small and I don’t want to mess the proportions. Thanks. Love your site! Cheltie I used 3 large Cameo apples in the recipe. I didn’t measure them out. I just peeled and chopped them. You’ll be fine without having to measure the apples. I make many apple recipes. I usually start with several ideas from other, then create my own apple treat. Today I looked in the fridge and cupboard for key ingredients I had, then Googled “apple recipes with cream cheese”. Found It! I didn’t have enough pecans, so added some walnuts, that’s it, by the book A+. There you go Daniel, make it your own! I be it was delicious with walnuts too, thank you for coming back to tell me! OMG Bunny, this cake is absolutely delicious! The only change I made was to cut back the sugar by half a cup and it still tasted fantastic to us. Thanks! Your so welcome Melissa, thank you for coming back to tell me, I love it! I made this last night and it’s equally delicious the next day. I was in such a rush, though, I forgot to add the topping! I sprinkled some cinnamon on top half way through the bake and it turned out great. I also cut the sugar in half when I made the batter, and it was the perfect sweetness for me. It’s the ideal fall dessert and I can’t stop eating it. Thank you! Fantastic Leah! Sometimes mistakes turn out perfect don’t they! You made a cake perfect for you, thank so much for coming back to tell me, I love it! 8 ounces in grams is 226.796 grams. Let me know how the cake goes for you Kaza! I would be concerned about the liquid to Joyce. I wouldn’t do it with peaches, pears yes but I wouldn’t do peaches. Can I use granny Smith apples? 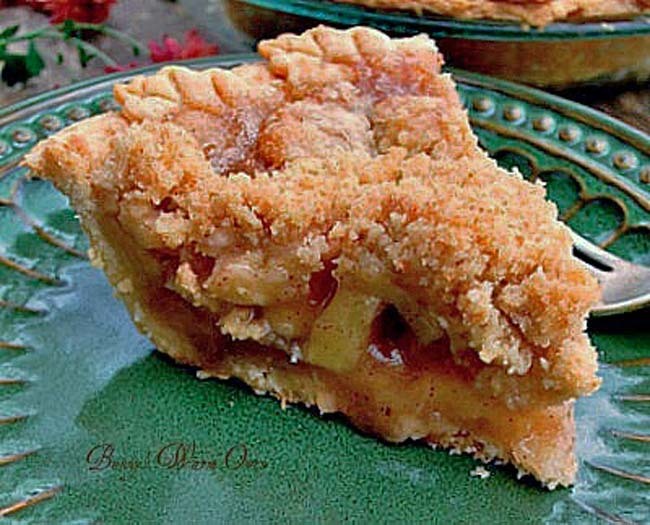 The recipe says firm and crisp apples and Granny Smith are certainly that Nancy! Give it a try and let me know how it goes for you! I’m from Pennsylvania Jen and I remember those March snow storms! We got our worst and most snow in March! I hope your family loves it! Thank you for taking the time to come and and comment! We loved this cake! I just took the cake out of the oven after baking in a 9 inch springform pan. I had to bake it for one hour and 30 minutes as the batter filled the pan. I also took your crumb topping and divided into two. I placed half batter in pan, sprinkled half of topping then rest of batter and then rest of topping. I used 3 large apples which added up to 6 cups of chopped apples. I also left the skin on the apples. Thank you for the recipe. it will go good with breakfast tomorrow morning. I just took the cake out of the oven after baking in a 9 inch springform pan for one hour and 30 minutes. The batter filled the pan. I placed half of the batter in the pan, sprinkled with half of topping then rest of batter and finally rest of topping. The cake will be served for breakfast to my guests. I made this cake today and it’s delicious!